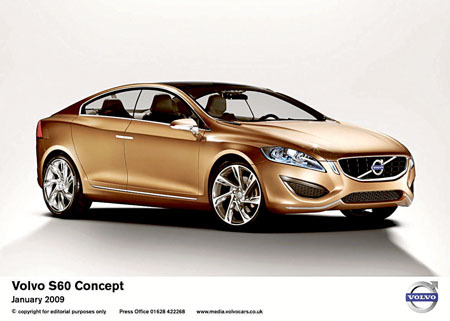 The Volvo S60 Concept car was unveiled at the recent Detroit Motor Show earlier this month, giving an indication of what the new Volvo S60 will look like when it is launched in 2010. The concept retains the coupe-inspired silhouette that gave the original S60 its unique stance. It has now been further accentuated. The concept car's design gives a visual promise of enthusiastic driving characteristics. On the inside Volvo has been even more daring – there the focus has been on creating a vision of the future.